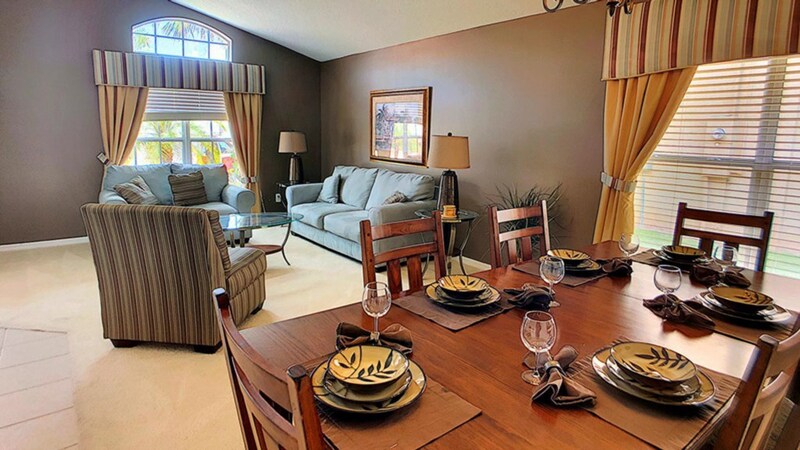 American Dream is a 4 Bedroom 3 Bath Vacation home in an exclusive gated private destination resort conveniently just 10 miles from the Walt Disney World entrance. The resort offers a unique vacation experience that includes delightful amenities and stunning tropical landscaping. The resorts amenities include swimming pool, spa, fitness center, business center, sand volleyball, children's playground and putting green. Where’s the beach? In less than an hour you can be surfing at one of the sunshine state's spectacular Atlantic beaches or dreaming beside the calm Gulf Coast waters. Glorious Cocoa Beach is just 40 miles away. Staying home? Practice your swing on Aviana's pristine putting green, relax beside the Resort's sparkling ocean-blue swimming pool, or enjoy the privacy of your own pool at American Dreams. Take the kids to the children's playground, have a picnic or just chat with your neighbors at the friendly Aviana clubhouse. A day of fishing in the large, well stocked lake will give you a tranquil, stress-free day in the sun. Play Time!! 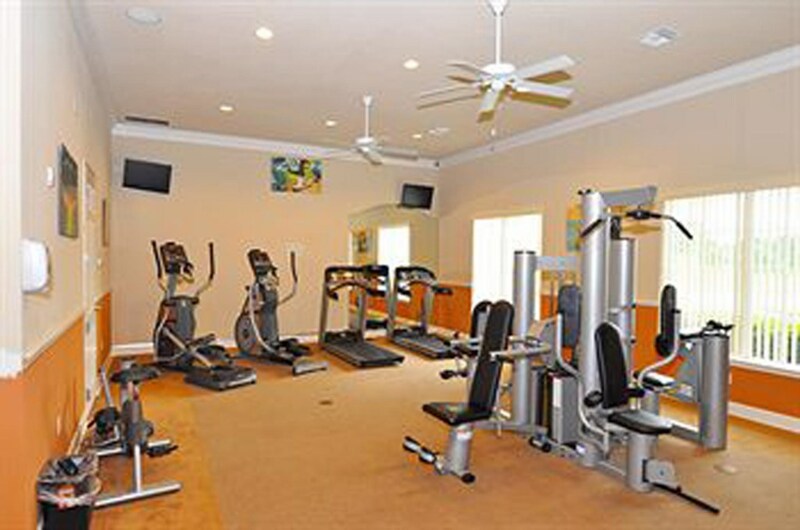 Get a workout at the fitness center or pull a volleyball game together at the on-site sand volleyball court, then unwind with your team mates in the hot tub. Is golf your game? Play on world class golf courses at Providence Golf & Country Club, Champions Gate or Reunion Golf all beginning less than a mere half mile from American Dreams. If privacy matters, you’ll love the fact that the pool and master bedroom overlook a conservation area. The King Master is part of an amazing split floor plan, keeping you on the other side of the house from the other bedrooms. 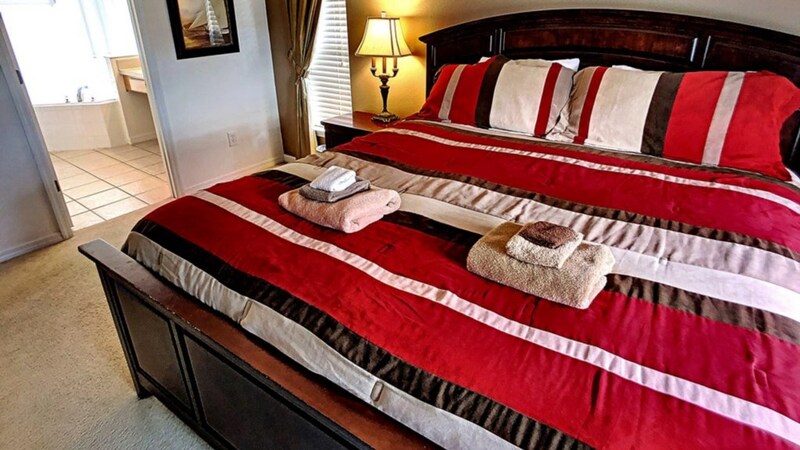 The King Master bedroom is designed to offer you the ultimate in comfort, from the oversized tub and separate shower to the large walk-in closet, you’ll love the roominess of the Master King Suite. Keep an eye on the kids in the pool from the King size bed and enjoy the beauty of the Natural Florida Ecosystem without raising your head from your pillow. Hawks, Sandhill Cranes, Egrets and Terns are your backyard neighbors. 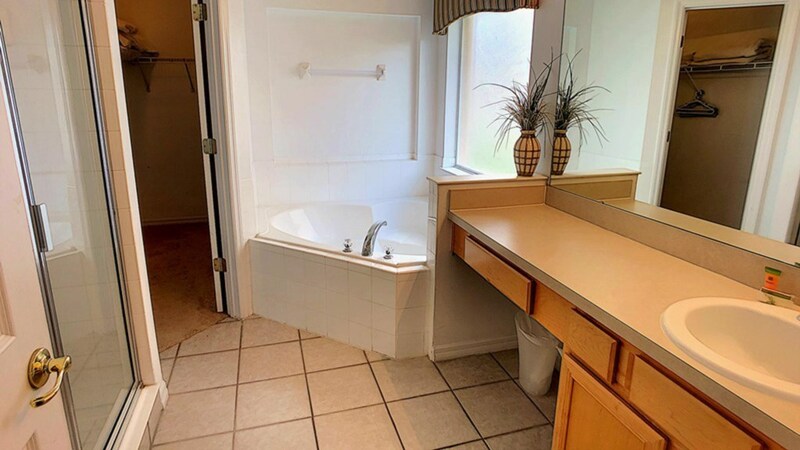 The Queen Master suite also features a ensuite bathroom and TV. 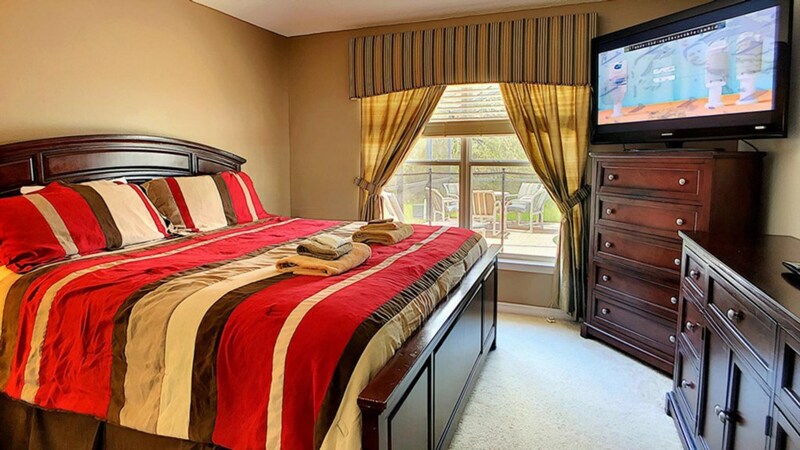 This spacious bedroom is on the other side of the house from the King Master, giving you additional privacy. 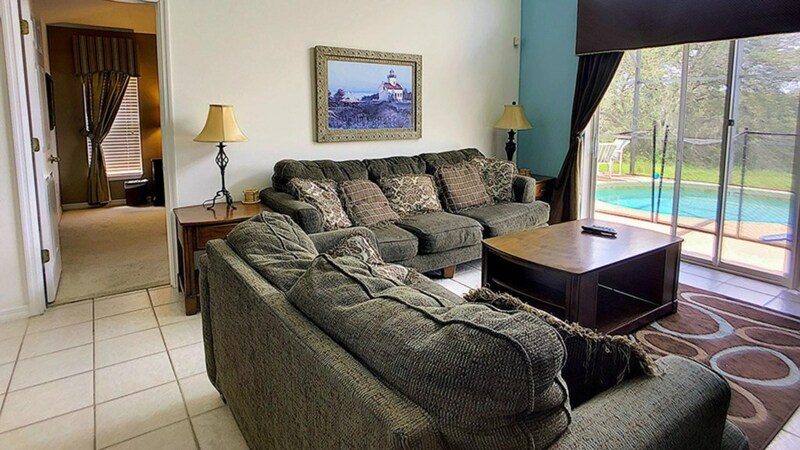 Twin Bedroom 1 overlooks the pool and features two comfortable twin beds and a TV. 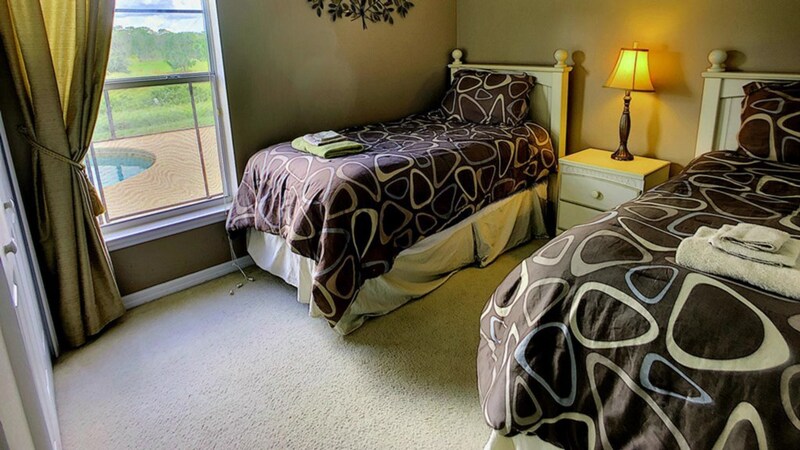 Twin Bedroom 2 is tucked between the family bathroom and Twin Bedroom 1. If there’s one thing many people don’t know about pool homes is that many have small pool decks, NOT this house!! The oversized pool deck gives your family plenty of room to soak up the sun without tripping over one another. The child safety fence keeps your little ones safe. 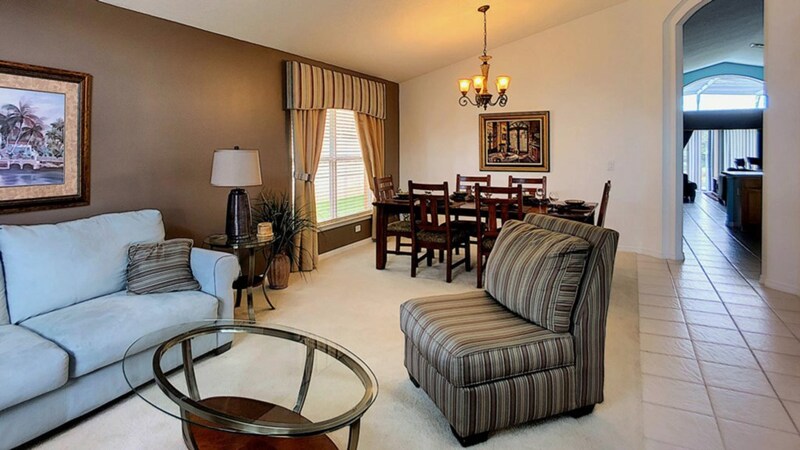 Once you step inside American Dream you’ll know you’ve found the perfect home for your family. 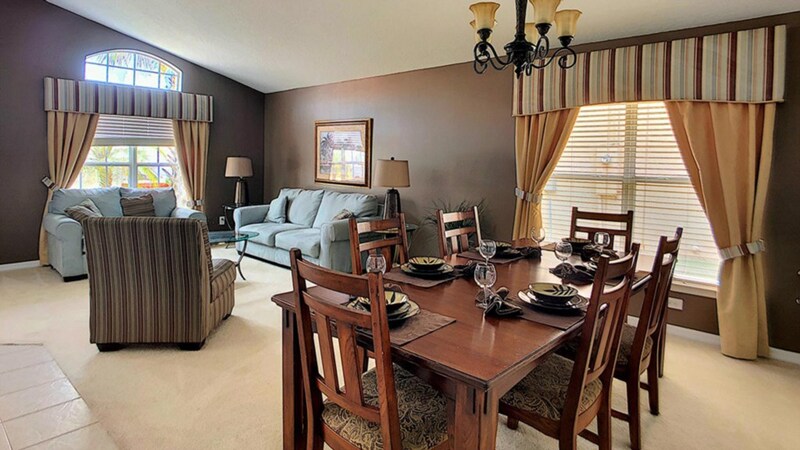 If you’re looking for space, the oversized formal living room and dining room offer space for everyone. Even if the kids are watching TV in the family room, this can be your spot to read, listen to music or just plain chill in peace. 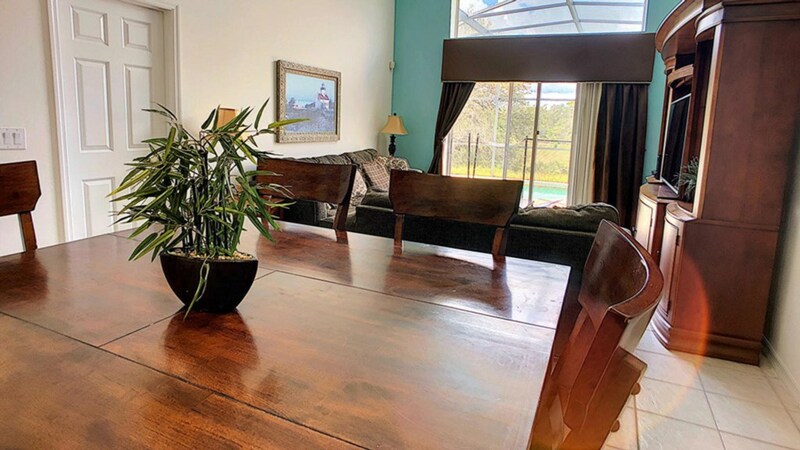 Gather the family at the large dining room table for a family meal, or it’s the perfect place to play board games with the entire family. 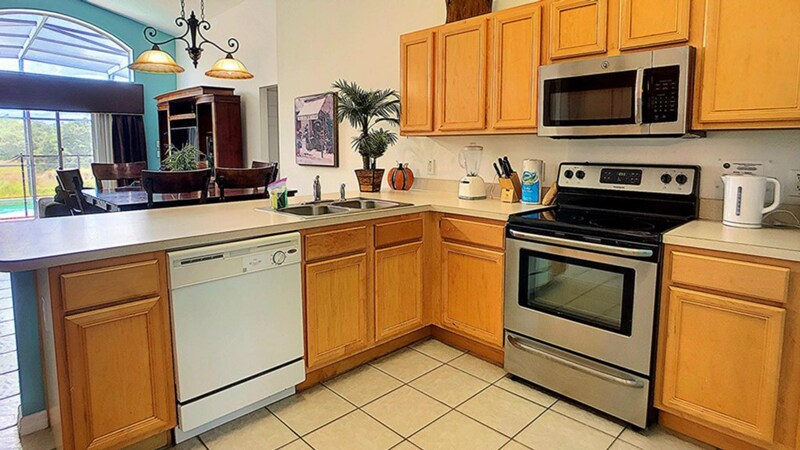 Step into the kitchen and again find yourself with lots of room. Oversized counter space, plenty of cabinets and more than ample room for cooking the family meal or whipping up a great midnight snack. 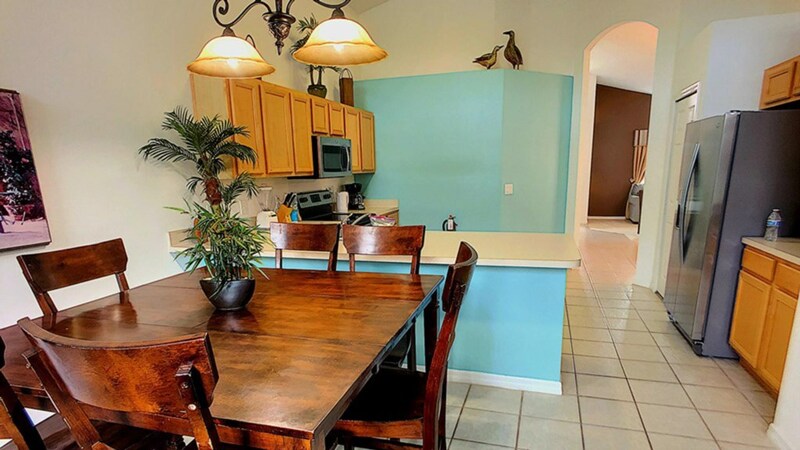 Grab a bite at the breakfast table while watching TV in the family room. 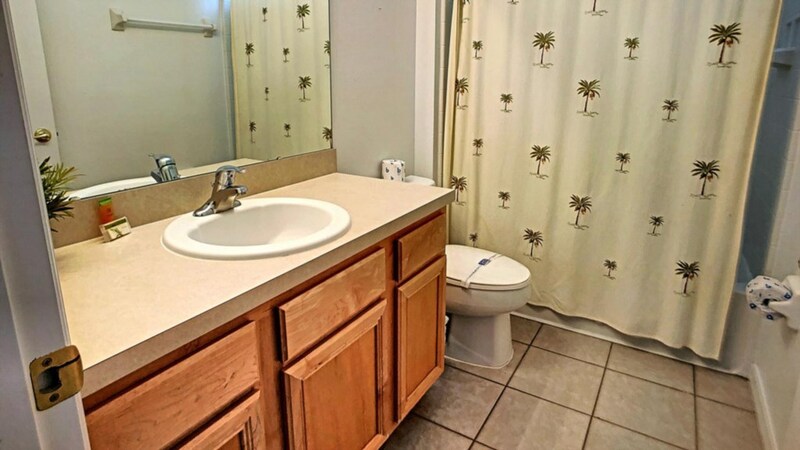 This house was designed with comfort and space in mind! Sink into the plush overstuffed sofas and feast your eyes on the 55” Samsung TV for your favorite movies and sporting events. 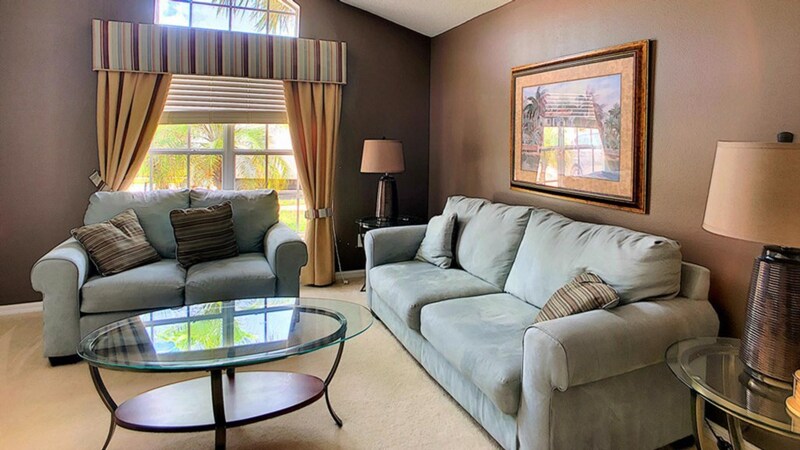 Ceramic tile in the family areas and plush carpet in the bedrooms give this home an elegant Florida feel. The game room is another area that will be a center for laughs and friendly family competition! 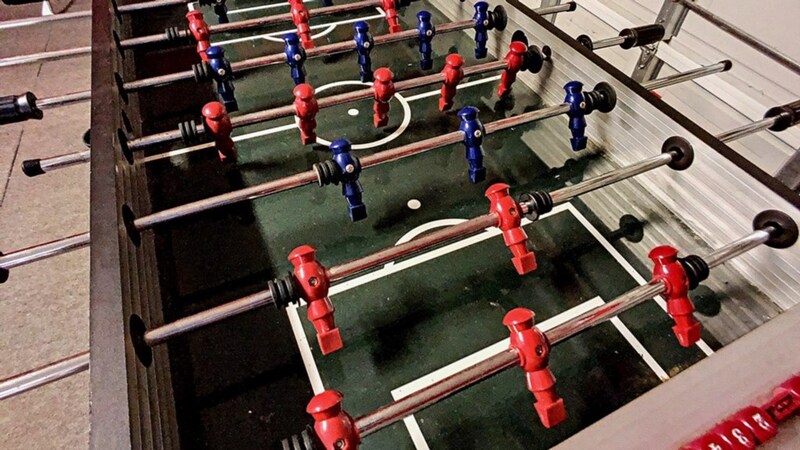 Line up your best shot on the pool table or get ready for high energy Foosball. Boys vs Girls? Parents vs Kids? Game on!! 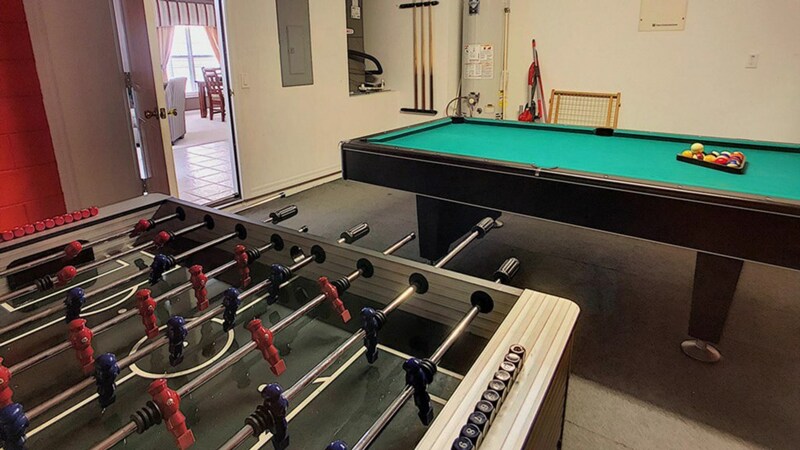 You’ll also find a full sized washer and dryer in the game room, in case you want to play laundry games! American Dream has it all! Book the best vacation of your life now in American Dream! We stayed eleven nights in this super clean, homely, comfortable villa. The company looking after the property replied to our queries within minutes and were ever so helpful. The house had all the essentials or more, which made our stay so much easier especially with two small children. Plenty of towels, sheets, products in every bathroom, fun games room, high chair, travel cot, cupboards in kitchen full of everything you need or don’t! We had a very enjoyable stay and I wouldn’t hesitate to recommend this property to anyone. I booked my reservation through another company and they cancelled it without letting me know. Thankfully Loyalty Vacation homes had availability for me and my family. The house was better than I expected and the kids had a great time. I definately will book with Loyalty again. The house was perfect for my family. We had 7 adults, 1 toddler, a baby and a dog and we had everything we need. There was more than we even asked for and the house was sparkling clean when we arrived. Checking in and out was incredibly easy and going through the gate with & without the gate code went without a hitch. And it was only 20-25 minutes from Disney! I’d definitely recommend this house to any family.